Imagine going to a day-long workshop about weight-lifting, an orientation to a new gym. You learn how to properly use each and every machine in the gym. For the next 6 hours, you do multiple sets of 14 different exercises until you are exhausted. The question is, are you now a grandmaster genius of all things related to weight-lifting and strength-training? Are you now suddenly bulked up and strong, ready to do a circuit or two of exercises? 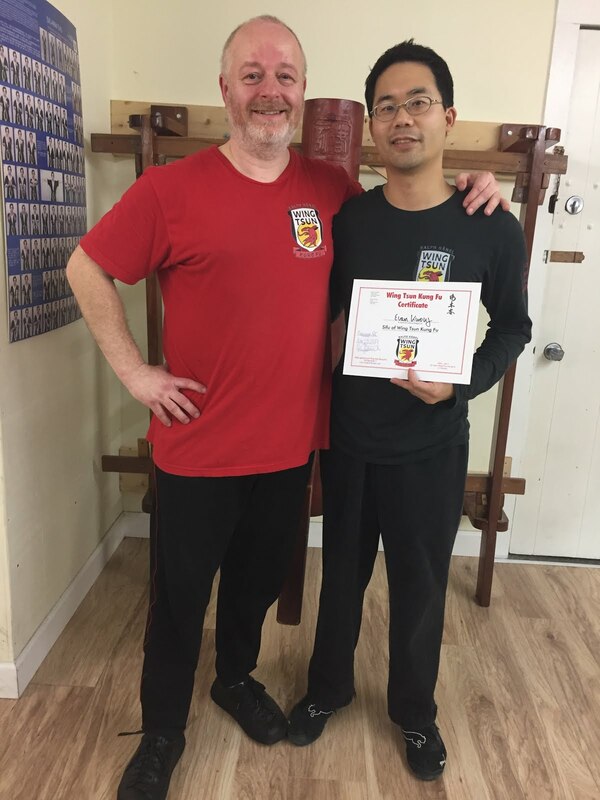 On March 29th, I attended the Inaugural Wing Tsun Long Pole Seminar by Sifu Ralph Haenel of Wing Tsun Kung Fu Vancouver. My first review here. We were taught about the long pole and how to do all the exercises. In fact, I can say I have "a full day" of training with it under my belt. I think I'm going to put the long pole skill in my pocket and call it a day. Done and done. Finito. The next time anyone asks me, "Do you know the Wing Tsun Long Pole? ", I can scoff and say "Yes, indeed!" Gasp! Wait a sec! I know OF the long pole now... I know how to hold it, and also some exercises. But that's about it for now! We must be careful in Wing Tsun training (or any training in life or work for that matter), that we don't succumb to the notion that after being taught a new skill we have mastered it. Sounds obvious, but you'd be surprised how often we think this way, especially in the world of martial arts. We can be taught something but not actually know it thoroughly and completely. Am I all done with Chi Sau Section 1? Um, yes. Then why do I still get facepalmed by Sifu? 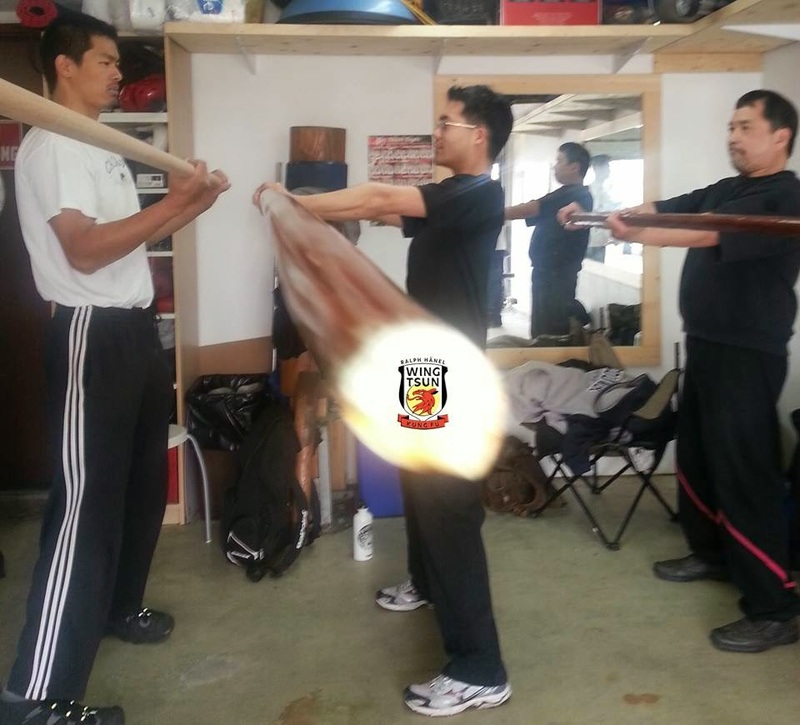 Anyways, the answer to the question "Do you know the Wing Tsun Long Pole?" is really, "Yes I know what exercises I can do with it, but the practice/training is ongoing, and I'm still trying to figure out how to maximize my skill with it and translate its training effects into my Wing Tsun." - Power training: wrists, elbows, arms, shoulders, back, waist, etc. Have I been diligent with my daily long pole exercises for the planned 4 weeks after the first seminar? I must admit, no! It took me a week to finally get to Home Depot for something to start practicing with. And then I found out the most difficult barrier that happens with any exercise: It can be hard to keep up with 30 minutes of long pole training on my own! The good thing is that the pole is starting to feel lighter with repeated training and (hopefully) better technique. Have YOU been diligent with the exercises? Because we are in for a treat, for the second seminar with the Long Pole Form on April 26th! If we can't even lift or use the pole properly, how are we going to even do the form?